by Orlando Calundan on Nov 2nd, 2013 · 2 Comments on Free E-mail Address for Philippine CPAs! Get Yours Now! ANNOUNCEMENT: Due to numerous requests, we have reached the maximum number of users allowed. We are no longer accepting further request. If you have an approved account, please activate within 3 days, otherwise, your account will be deactivated and replaced by a more active user in the application queue.For the list of approved users, refer to the related post, Click Here! Why and How to Get Your Own Custom E-mail? What are the perks of having your @philcpa.org e-mail? Recognition that you are a Philippine CPA/Accountant! Short usernames! For sure, when you sign-up at gmail, alex@gmail.com will no longer be available and you will end up alex_thecpa_2013@gmail.com. But with us, it is all yours so be the first! I got mine, ooc@philcpa.org. Get your own shortest username. Register at PhilCPA.org website. Register Now! Properly complete this another form to send us request. You have to fill up the required information true and correctly. Click Here to fill up request Now! Wait for our approval. We have required you to indicate your own personal e-mail (aside from your @philcpa.org e-mail). We will send an approval mail in that personal e-mail. You will be assigned with your temporary password. Approval usually takes 24 to 78 hours depending on our availability. If your application is approved, log-in to your account. Go to http://philcpa.org/e-mail/ for the instructions. Log-in for the first time and change your password and fill out security questions. Go to http://philcpa.org/e-mail/ for the instructions. You may also set-up your free @philcpa.org e-mail to your iPhone, iPad, Windows and Andriod phones. Go to http://philcpa.org/e-mail/ for the instructions. Enjoy your free @philcpa.org e-mail! No Registration, No Free E-mail! No Submission of Request Form, No E-mail! Your use of @philcpa.org is FREE. Free, however, doesn’t mean that you have no obligations and you have the liberty to use this in whatever purpose you may have which may discredit us. You have the responsibility to maintain the e-mail in good condition and reputation. We reserve the right to terminate your account with us if we learned that the e-mail under your account is used with unreputable transactions. Registration is required. For you to enjoy your free @philcpa.org e-mail account you should register to PhilCPA.org. If you aren’t yet registered, you may register using this link. Registration is required for us to properly monitor the number of users as well as to check whether each users are active. Register Now! Periodic log-in is required. We only grant free use of e-mails to active users. 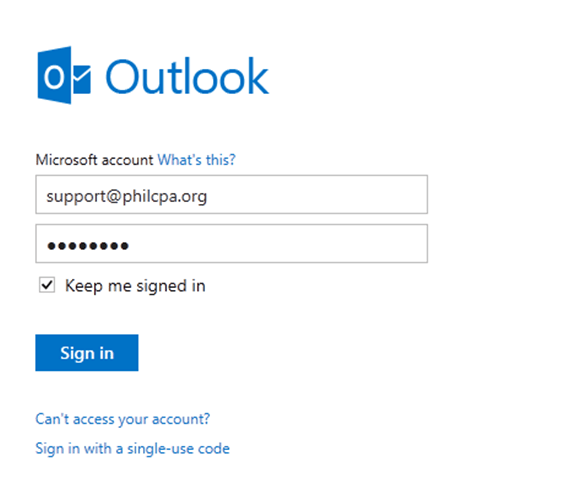 In order for you to continue using your free e-mail account with us, you must log-in to PhilCPA.org once a month. Users who fail to log-in for at least Three (3) months will be deactivated and their e-mail accounts will be deleted to be made available to new users. Click here to log-in. Financial and bank transactions where @philcpa.org e-mail accounts are used as primary e-mail account. We value the confidentially of your financial and bank transactions. Although our e-mail accounts are secured, we still don’t want to share with you your trouble when you use our e-mail accounts in illegal and prohibited transactions. Transactions entered into using our e-mail accounts are not our responsibility and you hold us free of any damages from the use of it. These terms will be amended as necessary without prior notice. If you have questions, feel free to contact us at support@philcpa.org or leave a reply/comment below.